Few artists have had such widespread recognition as Bob Marley. Between ’73, the year of his first major tour and ’81, when he sadly passed away due to cancer, Bob Marley became one of our time’s most recognized performers. Since Marley’s death, his legacy has continued to escalate and he has been inducted into many Hall of Fames and received numerous cultural awards including Greatest Album Of The Century for Exodus (Time Magazine). Bob Marley classics include ‘Could You be Loved’, ‘Jammin’, ‘One Love’, ‘No Woman No Cry’, ‘Redemption Song’, ‘Get Up, Stand Up’, and ‘I Shot The Sheriff’. 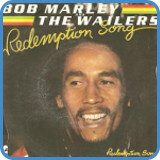 ‘Redemption Song’ is a song by Bob Marley from the album Uprising. 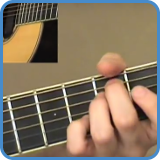 The original and most famous recording of ‘Redemption Song’ was performed on just one acoustic guitar. 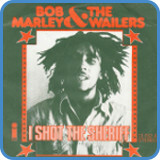 However, there are other versions by Marley either live or in the studio, with and without a band. When ‘Uprising’ was re-released in ’01, the full band version was featured as well as the original acoustic take. When Marley wrote ‘Redemption Song’ in ’79, he already knew about his cancer and was dealing with his mortality. How much this affected the meaning of the song might be dangerous waters to explore but there is usually a strong connection with timeless songs and great loss. The lyrics do have a connection with a speech by Marcus Mosiah Garvey, Jr, an African journalist, black nationalist and a main figure in the Rastafarian movement. Marcus Mosiah Garvey and Bob Marley shared the interest of fighting issues such as slavery, colonialism, and racism. Pan-Africanism has hundreds of years of oppression behind it. 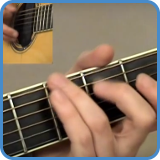 ‘Redemption Song’ speaks about this. Seen as one of the ultimate campfire songs, ‘Redemption Song’ can only be compared to other masterpieces such as ‘Wish You Were Here‘ and ‘Blowin’ In The Wind‘. Rolling Stone’s magazine ranked ‘Redemption Song’ #66 on their list of Greatest Songs Of All Time. For complete lyrics, go to I Shot The Sheriff lyrics. For complete lyrics, go to Redemption Song lyrics.